From the outset, the Historical Society created specialist study groups for the members including an Archaeological Group which was set up in 1974. 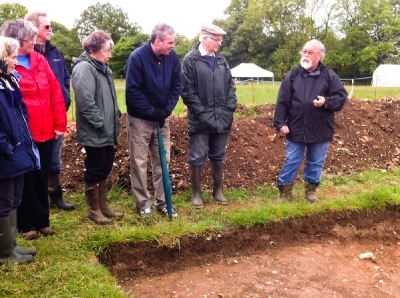 At that time it worked closely with Dr Peter Reynolds at the start of the Butser Ancient Farm Project but many other sites and subjects were studied over the years. Their progress appears to have always been reported in the Society’s bulletins. Regrettably, by the 1990s the group seemed to have disbanded. Fortunately the Society’s past chairman, Peter Price, is an archaeologist and on retirement, he generously agreed to restart the group and the first meeting was held on 23rd January 2013 at the Flora Twort Gallery. 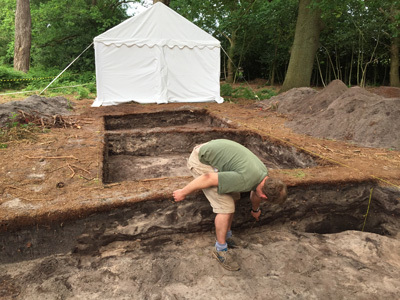 Now meeting monthly in the Physic Garden meeting room on the third Wednesday of October, November, January, February and March, guest speakers give talks on various aspects of archaeology particularly those pertaining to our locality.